There are so many different aspects to look at when you are researching, designing and marketing your Physical Therapy website it can be hard to know what to focus on and how to get it just right. SEO is vital to being found on the internet but it is crucial to not to over optimise too! There are some parts of optimisation that need to be looked at as a priority and using these four ways you can make sure you are SEO ready without compromising on quality. Search engine optimisation is a way of maximising the number of visitors to your website by making sure it appears high on search results returned by a search engine such as Google. Of course, you want your website to be as high ranking as possible in order to get more hits. So, with this in mind, you need to do what you can to improve your SEO without overdoing the optimisation. How can you over optimise? Well sometimes you can be so focussed on optimising your website for search engine results so you leave the content and quality to lapse. So, no matter how high you appear in search results, users won’t stay on your page because your content is not relevant enough or useful for them. In order to get it right there are a few things you should look at as a priority to get your PT SEO just right. If your page doesn’t load then your visitors will get bored and move on. Internet user are used to instant access to content so if you don’t have a fast loading page you will lose visitors. It only takes a few seconds for your visitors to move on so it really is vital that your page loads as quickly as possible. But how can you make sure your pages load quickly? There are a few things to amend on your site to make your page load faster. Large images take longer to load than smaller ones. So, you must think about the sizes of your pictures when you load them to your site. Images are great to break up text and make your pages more readable. They also offer useful information, which means images and pictures should not be forgotten. However, they should be the right size every time and make sure they have the right effect without taking up precious load time. Some font types are more complicated than others which means they take longer to load. If you experiment with different fonts you can find the right look for your website but without the compromise on the speed your page loads. Using video on your website can be really useful for your business. To show your clients what happens during the treatments you offer and what to expect when they visit your practice. But videos can cause your page to load much more slowly than images. You need to keep this in mind when including videos on your pages and make sure you don’t include too many on your site. The number of links to and from your website make a difference to your SEO. These include inbound backlinks from other sources and links to high authority sites and sites that are relevant to your visitors. It can be hard to get the balance right when it comes to where to place links and how many to use. Not enough will leave you seeming not relevant in search results, however too many will make your website seem spammy. There are a few ways you can use links on your site more effectively. When choosing outbound links make sure these are relevant to your visitors and add value to their experience. You should also make sure you use the right key words for your links to make sure your visitors know what to expect when they click the link and it doesn’t take them to something completely unexpected. You should also link back to your own content, this can reduce your bounce rate too and customers will spend more time on more pages on your website. These are important as they show your website is trusted and the information you have to offer is relevant and reliable. Some backlinks will be generated naturally when other sites or businesses link to you for the information you offer. You can also include backlinks on guest posts for other blogs and websites to improve your spread across different sites. The quality of the sites referring to you are also looked at so you need to be particular on the sites you choose. Broken links can be bad for your SEO and make your website look like it is not monitored or maintenance. You can check for broken links using free online checkers and then manually adjusting your links in your site. Or you could employ a professional to do the job for you. It will make a big difference to clean up your site and improve your visitor’s user experience too. This is crucial to your website and is top priority to ensure visitors stay on your site and book with you as a clinic. Visitors want to trust their physical therapist so the content on your site needs to reflect the professional services you offer and really showcase who you are as a brand. If the quality of your content is not up to scratch then your customers might think the same for your treatments. Good content that is updated regularly is great for your SEO. It can also keep bringing visitors back to your website to read the new information you are publishing. This is great as you can create a following of loyal clients as well as engaging new audiences you share your posts with. Blog posts are a great way to keep your social media followers updated and involved too. If you are going to include information make sure it is clear and relevant, really offering something to your readers. You can also include pre and post care information to direct your clients to with further information about your treatments. If your brand offers expert advice on your website visitors are more likely to book and have confidence in the services you offer. Your content includes pictures and videos as well as written content so you should consider the quality of all mediums on your website. Good quality images are a must but remember to look at the file size before uploading so it is not too large to affect the page load speed. Info graphics are another shareable medium to use to promote your business and showcase your valuable content. Marketing and search engine optimisation go hand in hand so it is important to identify and market to the right audience. Businesses must know who they are marketing their services to and even different physical therapy clinics will have different audiences in mind depending on your specialism and area. Looking at your audience should be in your marketing strategy but it should also be in your SEO strategy too. Here are a few steps to take to identify and optimise for your target audience. Look at your customer base and the core treatments you offer as a business then identify the customers who do and are most likely to use your services. You may treat mostly sports injuries or perhaps your customer base is more suited to a certain age range. Only you know your business so find out who you work with the most. Once you have your target audience you need to write your content and blog posts with this group in mind. This will include the language that you use and the types of treatments you talk about. It makes it easier to tailor your specifics if you know more about the audience you are writing for. Whether this is social media marketing or advertising you can now set your targets so you are only showing the content to those who it is relevant to. This strategy saves you time and money getting the most out of your marketing budget. It is also key to building on your customer base and online brand presence. 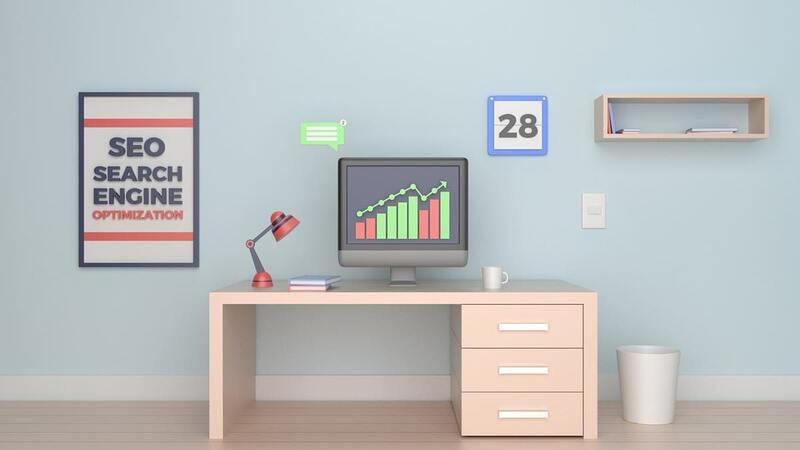 With these four ways to get your PT SEO just right you can make a big difference to your search engine rankings without over optimising your site. It can be hard to get things right but following these tips can help you on your way to the best your Physical therapy site can be. From making sure your website loads quickly for your visitors to marketing to the right people at the right time. Which ways do you find useful for your own website? It is great to see the results of optimising in the right way, meaning more website visits, more bookings and happier clients too!